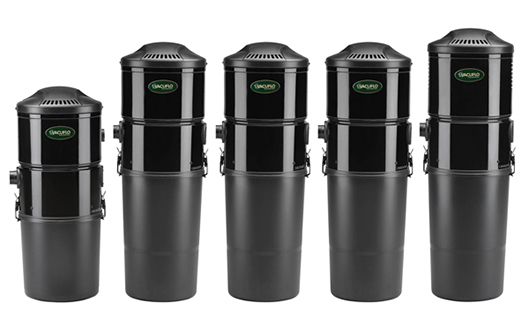 Our Central Vacs come from 4 leading manufacturers. 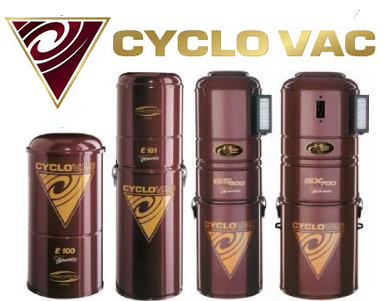 Cyclovac central vacuums has been on the forefront of central vacuum research and design for over 50 years. A second generation family owned Canadian company, Cyclovac continues to to introduce innovative products and features. Their commitment to quality is evident in their all-steel construction, powder-coated finishes, and robust suction motors. Watch how a Cyclovac power unit is made. With the Hide-A-Hose patented central vacuum system you will never need to carry or store bulky vacuum hoses. Simply pull out the amount of hose you need from the inlet valve, connect your cleaning wand (with attachment) and begin vacuuming. When you have finished vacuuming, detach the cleaning wand from the hose, then the suction from the central vacuum power unit effortlessly retracts the hose into the SmartTube™ system hidden behind the wall. With the ability to store up to 60 feet of hose, one wall connection can cover up to 2,300 square feet vacuuming space. Homeowners also benefit from cleaner air, made possible since central vacuum units are located outside of the living space and do not re-circulate allergens or dust mites. Central vacuums are also are quieter and three to five times more powerful than portable vacuums. MD Manufacturing vacuum systems represent fifty years of experience in the design and manufacturing of central vacuum cleaning systems. 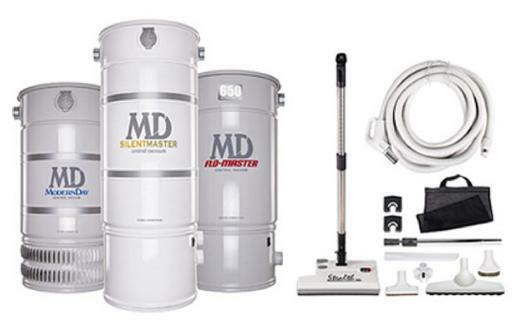 This singular commitment to the central vacuum cleaning industry has produced the patented, innovative characteristics of the SilentMaster, which is one of the quietest units on the market.